In conversation with Amuleek Singh Bijral, Co-founder and CEO, Chai Point, who shares the secret of success for his brand. Start-ups have maintained quite a disruption in the Indian market for some time now. 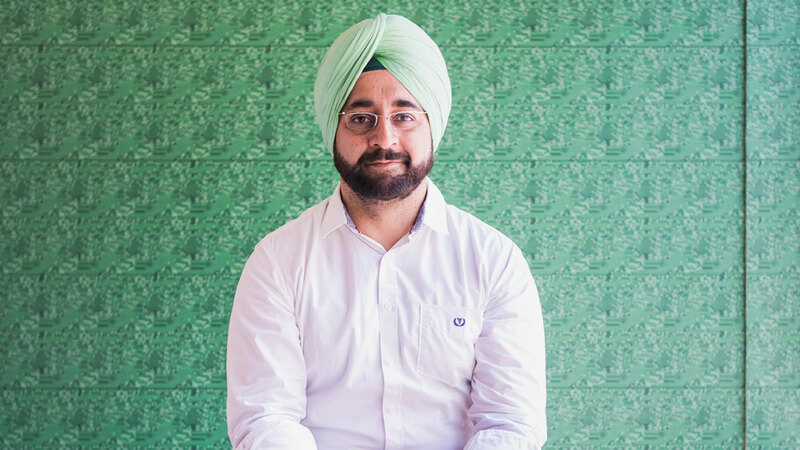 In the wake of them doing so, Zarafshan Shiraz, in an exclusive with Amuleek Singh Bijral, Co-founder and CEO, Chai Point, finds out what makes it one of the most loved brands in the country and what is helping them scale faster in the Indian market. What according to you is bolstering the migration towards chai cafes and tea bars from the home-brewed teas? What triggered the sudden mushrooming of tea cafes? It is a known fact that we are a tea drinking nation but despite being one of the largest producers and consumers of chai, the last mile delivery of it is broken in our country. After finishing my MBA from Harvard, I was working in a tech company in India as their Country Head. It was during this stint that I noticed my co-workers and white-collar professionals had to go to nearby tea stall which was not satisfactory due to lack of a better option. I saw this as an untapped business opportunity and the idea of Chai Point was born in 2010. It is a fact that chai cafes like ours are able to provide an authentic and a consistent cup of tea made from fresh ingredients and the experience built around the beverage is highly personalised for the consumers. These factors have contributed to making Chai Point one of the most loved brands in India. What opportunities do you sight in this chai business? Chai can easily be called the national beverage. No matter what the season or the reason, chai is a companion everyone loves in the country. Our business model is omnichannel. We serve Chai through our stores, extending the entire brand experience to the customers, delivering it at your doorstep for the orders that come through our app or through food tech partners. We also sell our own brand of tea which is sourced from some of the best tea estates and packed at the place itself to maintain its freshness. We have also launched boxC.in, an IoT enabled automatic chai/coffee dispenser for the corporate sector. We believe that a B2C brand needs to have an omnichannel strategy to serve its customers. Chai Point currently runs stores in 8 cities – Bangalore, Delhi, Noida, Gurgaon, Mumbai, Pune, Hyderabad and is soon slated to enter Chennai. We have more than 2,000 installation of boxC.in and our home delivery segment is one of the fastest growing vertical in the business. What have been the key drivers in scaling up of this niche industry? Tea is the second most consumed beverage globally, after water. In India, 30 cups of chai are consumed for one cup of coffee. The tea drinking market is pegged at Rs 33,000 crore growing at 15% per year. Clearly, there was always a market available in India but the last mile delivery to the customers was broken. At Chai Point, our mantra is ‘tea is a ritual in India’ and our entire business model is woven around owning this ritual and serving tea to customers through various touch points. Which are your highest selling products and what is their USP? Our most sold out product is Ginger Chai. Our customers have told us that the Ginger Chai which we serve them here at Chai Point reminds them of chai from home – refreshing with a correct balance of spices, the tea and the aroma. What new do you bring to the table that sets you apart from your competitors? Our garden to glass program, where we source tea from the best estates and brew a fresh cup everytime for a customer, use of real spices and no artificial tastes, our ability to make tea/coffee in a machine using fresh milk and ingredients and the overall experience we extend to the consumers whether they come to our store or order chai at home make us stand apart. The fact that our customers are at the heart of our entire business operation makes us one of the most loved brand in the country. Our early investment in technology to make our operations more agile has also helped us scale up faster, making Chai Point the largest chai café brand in India with 100 stores. We plan to open 50 new stores this year.